The spokesperson of the black-armored warriors said, "Your people will be exterminated. There is no longer a place on Filion for the Children." Chad straightened his tie and took a good look at the approximately one hundred-and-fifty students sitting in front of him. Sierra took a deep breath. "I'm joining... the Sway." 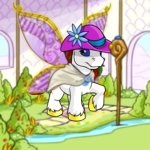 Shenkuu Mountain Neopets: A Neovision Reality Show! 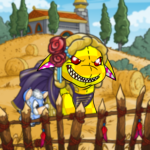 A second Shenkuu Mountain Neopets segment is currently being filmed. I traveled far to visit the notorious MSP, but what I discovered was something beyond my expectations. Top 10 Organic Foods of Neopia! Have you heard about the benefits of feeding your Neopet Organic food? Many pets don't fight because they think it isn't fashionable, and who wants to wear that thick chain mail anyway? Ever wonder about those odd quest items?